Thomas Chippendale: A celebration of craftsmanship and design, 1718-1779, is the largest exhibition the museum has assembled I recent years includes loans from more that 40 sources -both historic houses and private collections. 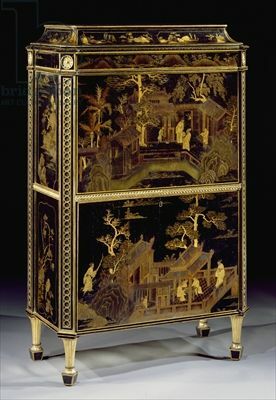 It has been curated by furniture historians James Lomax and Adam Bowett of the Chippendale Society at Temple Newsam. Key pieces have come from the Royal Collection, Paxton House, Newby Hall and Dumfries House, which has around 10% of the know fully provenaced Chippendale furniture. The Dumfries House collection, handpicked by the fifth Earl of Dumfries from Chippendale’s workshop, was almost sold in July 2007 st Christie’s before an eleventh hour 45m rescue package headed by prince Charles.